As an art history student, one of the questions I get asked most often is “Who’s your favorite artist?” It’s one of the hardest questions to answer and my tastes aren’t exactly limited: everyone from Fra Angelico to Jan Vermeer to Henri Matisse gets me excited. It isn’t even just the big name artists, the kind you read about in textbooks, that capture my heart. My favorite painting, Portrait de Mademoiselle Carlier, was created by Lucien Levy-Dhurmer, a French-Jewish Art Nouveau artist. Georges Barbier, the French fashion illustrator, was one of my first art loves. 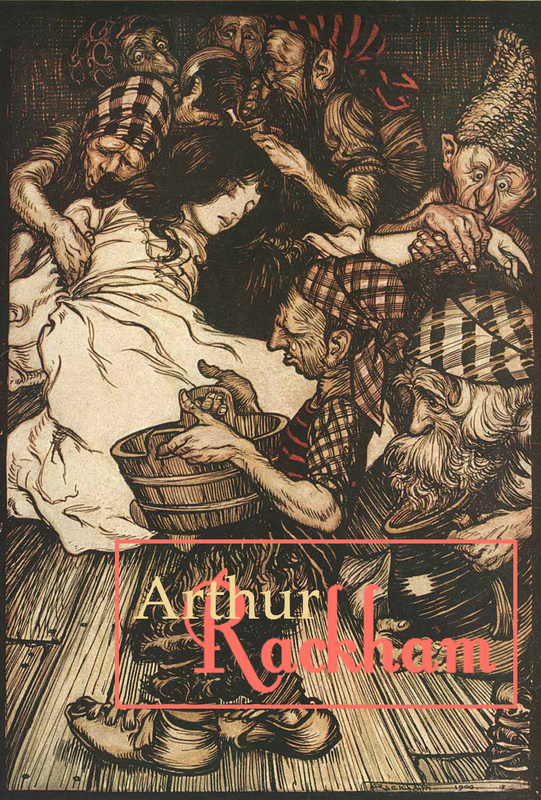 But there is one artist who combines my love of both art and books: Arthur Rackham, an English book illustrator, who worked particularly in fairytales. His style was influenced by a combination of pen-and-ink and Japanese woodcut prints with tinted washes of color. Though packed with lines and details, asymmetrical compositions and bright open spaces lend the works a certain beautiful warmth. The detail in this Frog Prince illustration is just gorgeous isn’t it? The folds of her dress, softly tinted with blue and streaks of pink and yellow, are a gentle contrast to the hatchmarks and wood grain lines of the interior surrounding her. 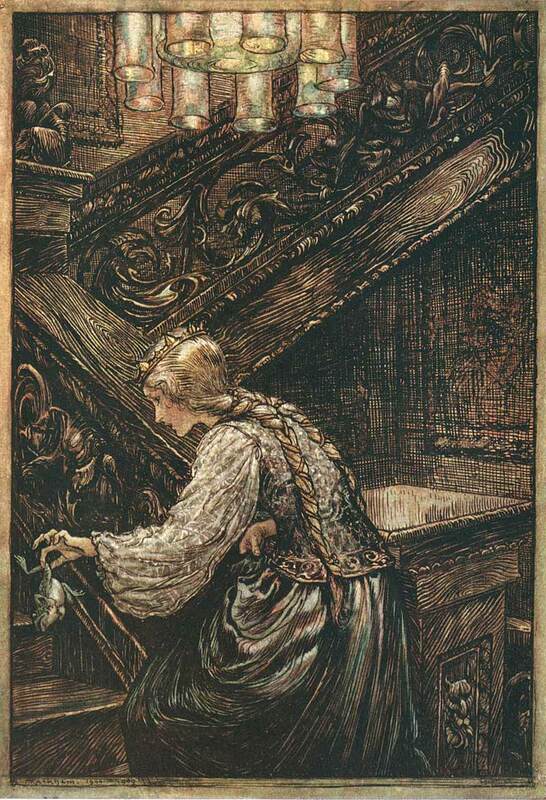 Rackham also illustrated stories such as Wagner’s Ring of the Nibelung, an opera about Norse mythology. 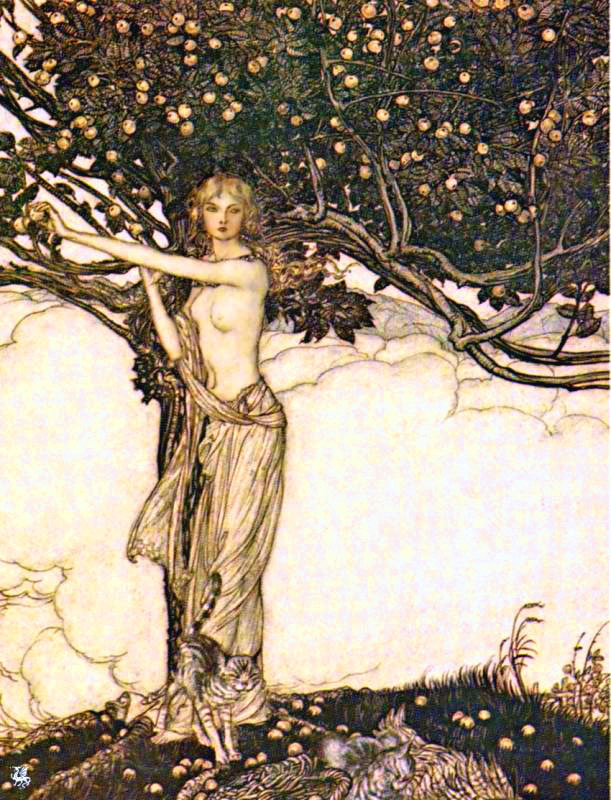 One such work is this lovely illustration of the goddess Freya. 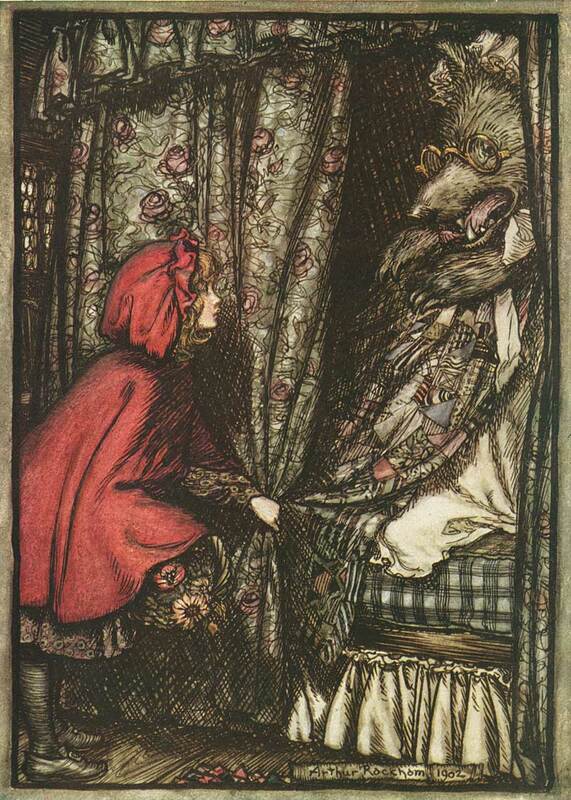 In some ways, the open airy quality of this piece is vastly different from Rackham’s often crowded, intricate details but it still captures the same, familiar warmth.